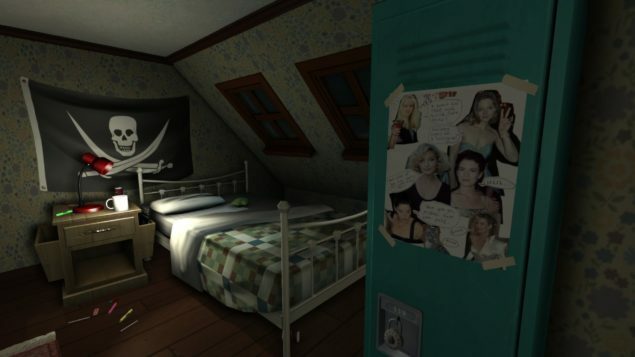 The console edition of Gone Home finally has a release date, and it’s sooner than you’d think. Gone Home, an interactive-fiction adventure game set in a spooky mansion in Portland, Oregon, will finally be released on January 12th 2016 on the Xbox One and the PlayStation 4. Gone Home is coming home to the Xbox One and PS4 with a release date, January 12th. It’s been a long time in coming, unfortunately, with the original announcement for the console versions of Gone Home having been actually taken place in March of 2014. There were a number of financial hardships from the partner company that was going to tackle the conversion, Midnight City. Those hardships were such that lead to the console versions eventually being put in cold storage until further notice. But the wait will be worth it. Midnight City and The Fullbright Company have updated the engine fully to Unity 5 and all the graphical enhancements that come with that. There’s also going to be 90 minutes of behind the scenes developer commentary, showing you what was on their minds while making this game. The original PC version was released on August 15th 2013 and used Unity 4. As a point and click interactive game it’s been well received, with a well-written story and a very good overall experience. The soundtrack, too, adds to the spooky experience in spades.